Decks 101: What's a Baluster? Balusters, spindles, pickets; many different names, same important part. 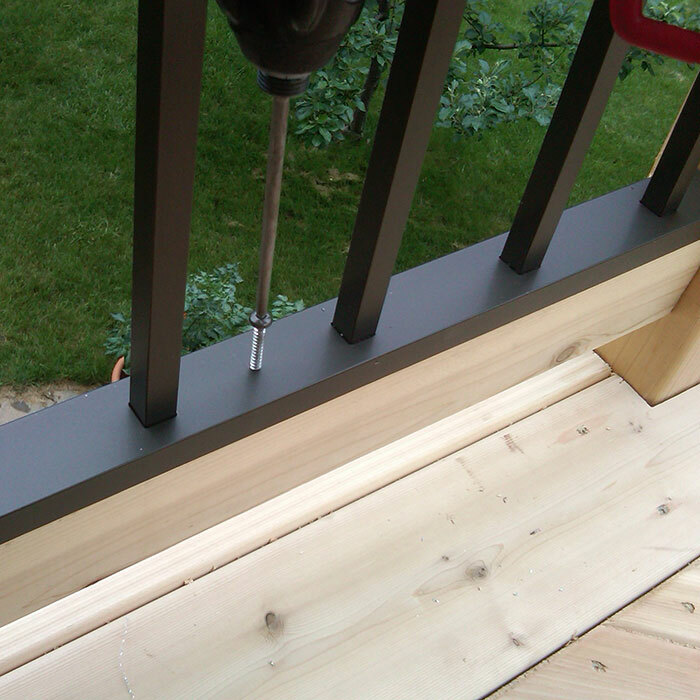 Balusters are the slim, vertical pillars installed either between or on the side of top and bottom deck rails. Their main architectural purpose is safety; preventing family, friends, and pets from dangerous falls. Yet function aside, balusters can also grant a dash of classical charm or an entirely fresh, modern look to your outdoor space. Traditionally, balusters were crafted solely from wood and offered few design options. Advancements in technology, along with growing consumer demands, has led manufacturers to produce an assortment of styles, designs, and finishes to suit any taste. 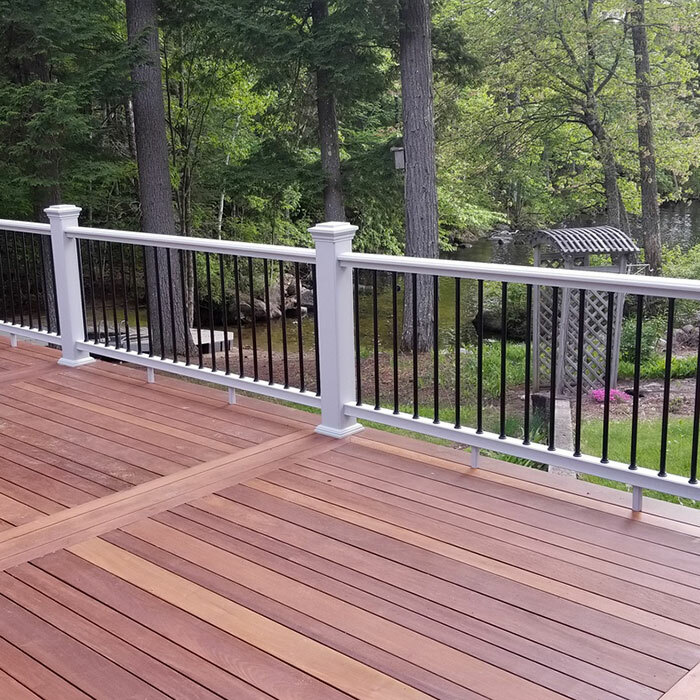 From substantial powder-coated aluminum and steel to barely-there glass; create the environment you want for your deck by adding some lively new balusters today. 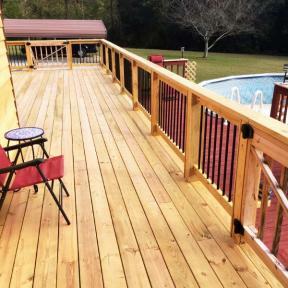 One of the fastest ways to take your deck from dull to dazzling is by taking off those worn-down wooden balusters and adding on some sleek new spindles. 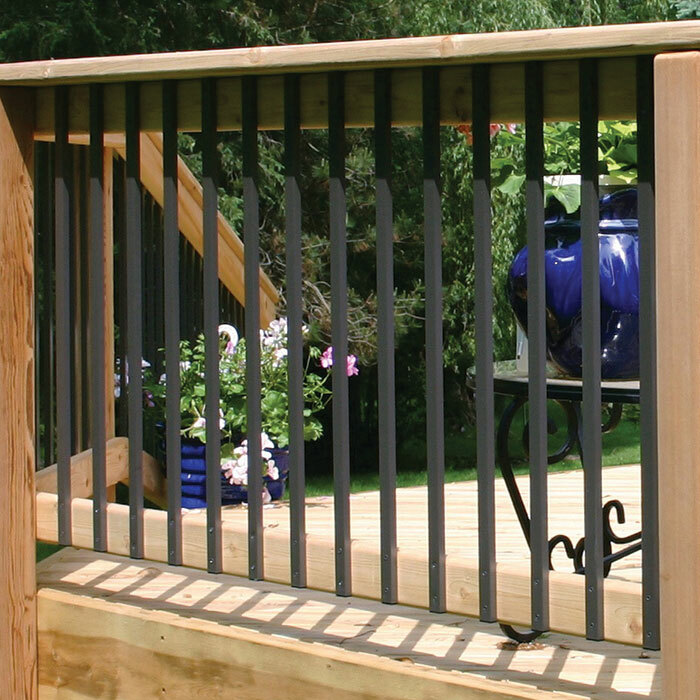 Whether you’re installing on pressure-treated lumber or another wood type, balusters and their coordinating connectors will help your deck become the outdoor space you’ve always wanted without a huge project on your hands. 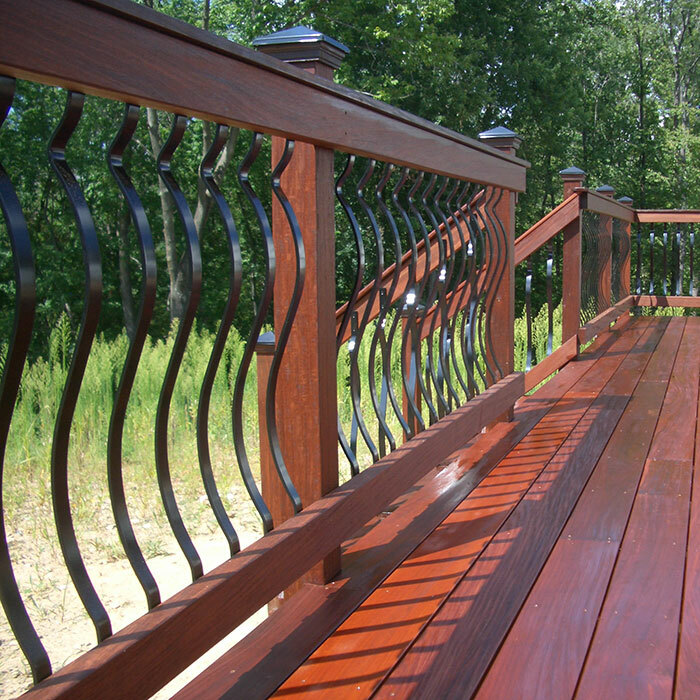 Why is the Deck Industry Moving Away From Wood Balusters? High Maintenance – While the initial cost of wood balusters is low, the amount of time and effort that owners end up putting in ultimately adds up to a lot more. Wood spindles will need to be stained or painted every year to keep up their appearance. Staining them annually generally means the owner carefully painting around the nooks and crannies of the rails; or removing the balusters altogether, staining them, and then re-installing them. The hours of work, combined with a yearly purchase of stain totals an awfully big price tag. Damage Prone – The natural material of your wood baluster, regardless of the wood type, is going to be susceptible to rot and ruin. Whether its termites, cracking, warping, or mold, wood balusters will have to be replaced more frequently. Also, aluminum and iron are stronger, more substantial materials, meaning less chance of a scrape or breakage than there is with wood. Less Customization – While you do have the option for your wood balusters to be turned or carved to a specific style, that specialty cost will certainly add up. Aluminum and iron, however, can be cast and molded into a variety of forms and sizes easily by manufacturers. 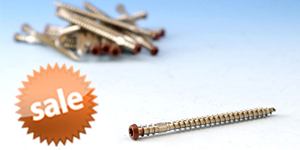 This ensures that the look you want will be easier to find and at a lower cost. 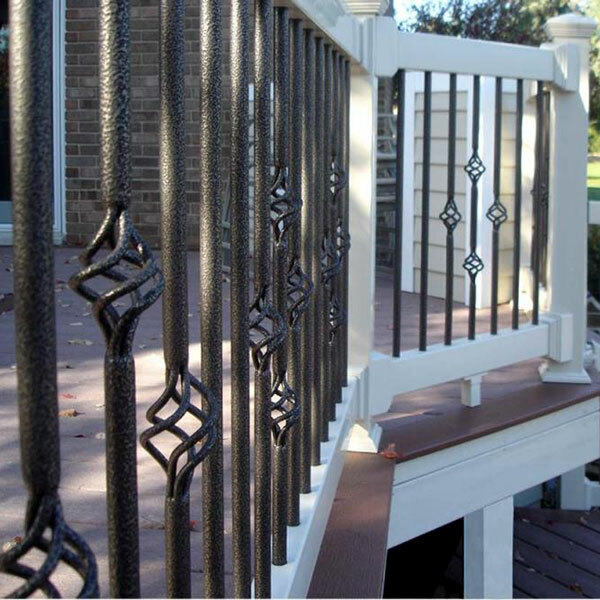 Designs aside, the number of colors and finishes available for metal balusters is vast; meaning you’re sure to find the correct look for your deck. 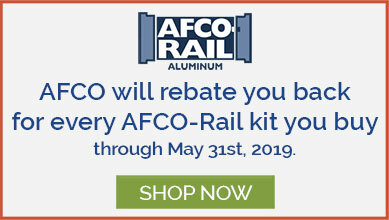 View Obstruction – One of the most common advantages of metal and glass balusters offered today is the level to which they can open up your outdoor space. 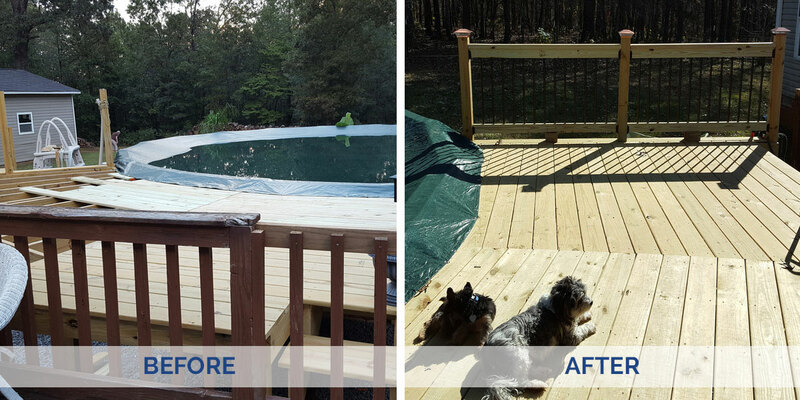 As deck building progresses, the idea of opening up the vista of your backyard has been a popular trend that keeps on growing. Aluminum and iron materials are much stronger than wood, therefore they can be made into a narrower spindle with a higher strength ratio. 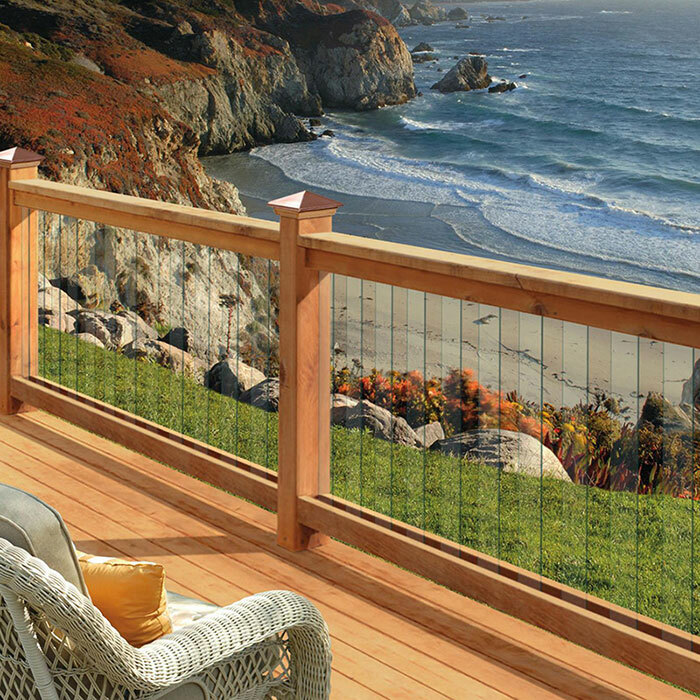 Glass balusters, however, allow you to let your railing fade away and allow your backyard view to take center stage. Wooden balusters are more prone to damage and can age much more quickly than their metal counterparts. Old balusters should be replaced when broken, wobbly, splitting, or loose. If you’re looking to sell your current home, installing new balusters is a low-cost way to add value to your home, improve your deck’s appearance, and guarantee that your deck is up to code for potential buyers. 1. If you have face-mount balusters installed, simply remove the installation screws from the top and bottom of the balusters, then lift the spindle away from your rails. 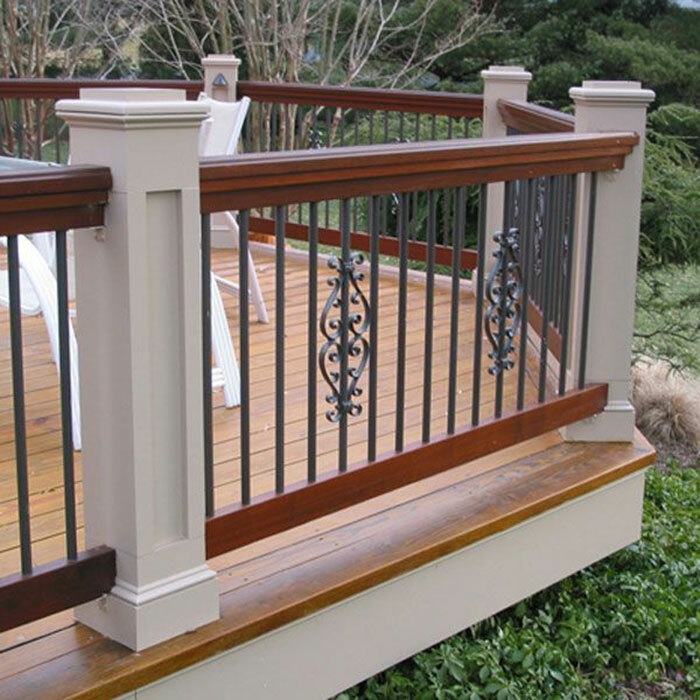 The most effective method of installing new balusters on this railing would be a new, long-lasting metal face-mount baluster which will cover your current holes while giving a durable, fresh look. 2. 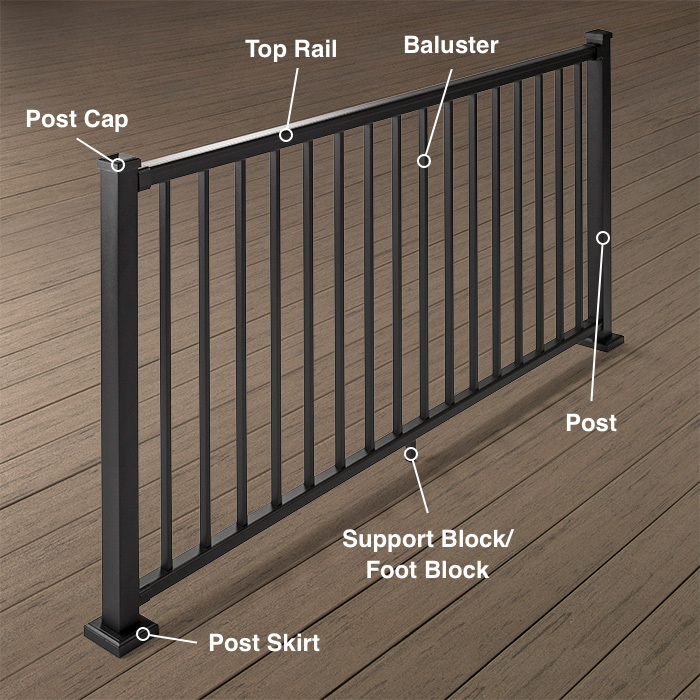 If you have balusters installed between your rails, remove the hardware connecting your top rail to your posts, and then lift your top rail out of position. Take your existing balusters out from connectors or mitered holes. Now, you may easily install new balusters either between rails or on the side, depending on your preference. What Do You Want Your Railing To Do? 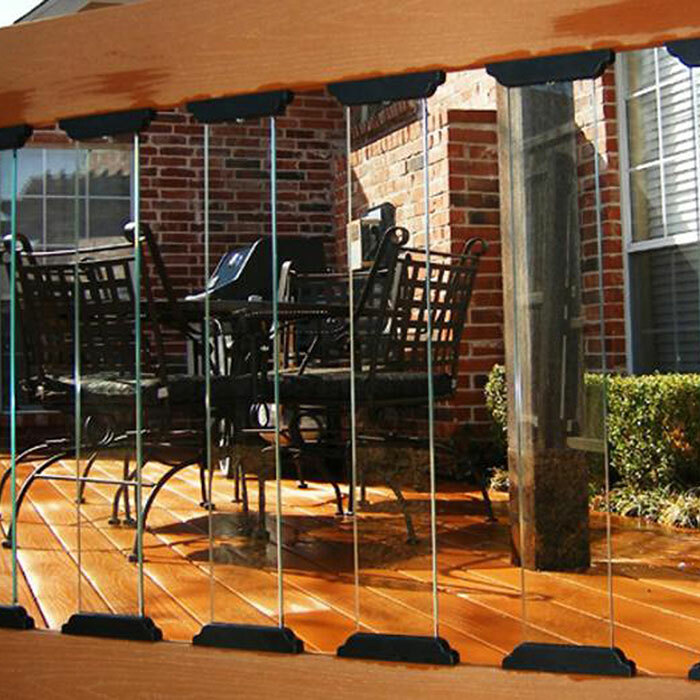 Glass balusters are tempered for safety yet allow clear, unobstructed views day after day. Giving the sophisticated look of glass panels, yet allowing the breeze to still reach you; glass balusters are a modern solution to make your railing practically disappear. 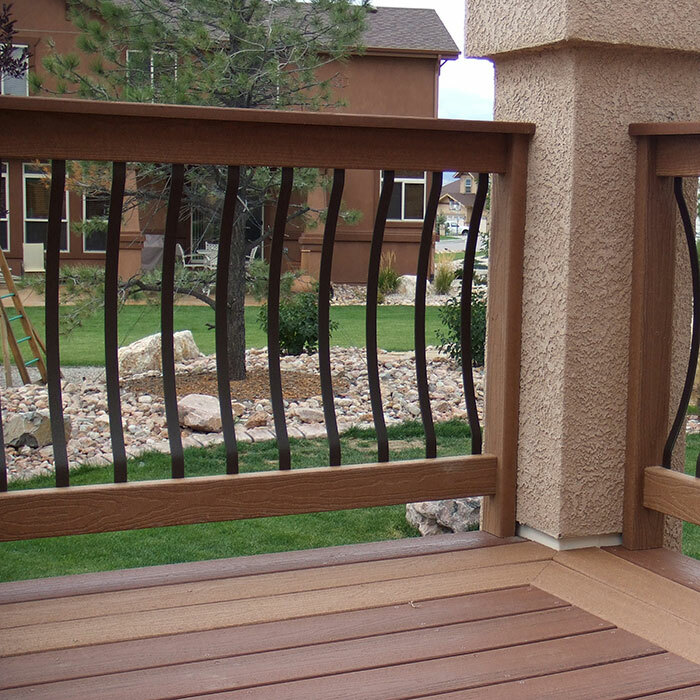 Round Aluminum balusters, especially in a black or bronze finish, deliver a simple detail to your deck that actually fades from view once your eyes adjust. 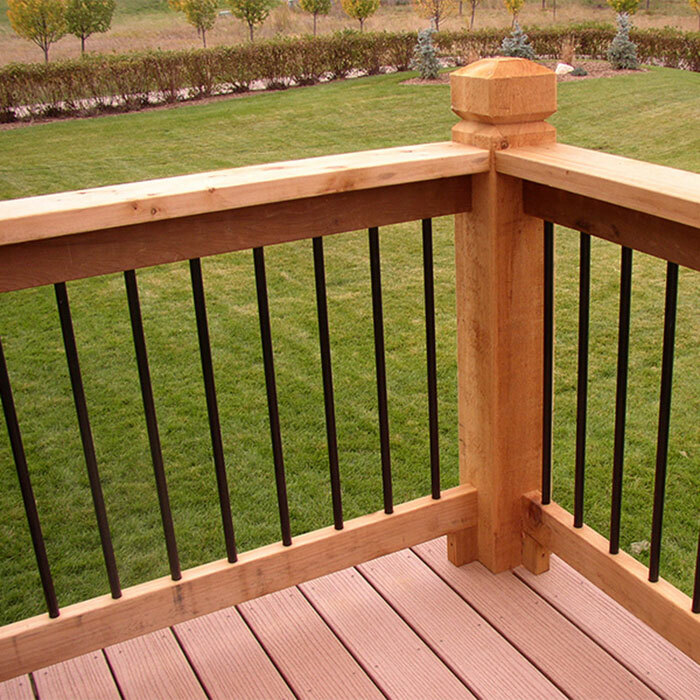 The slim, rounded form lets the edges of the baluster slightly diminish for a clearer view beyond the deck. Vintage Series Face-Mount balusters, made by Fortress Railing, is one of the thinnest balusters available today. 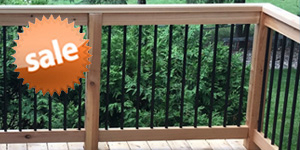 Measuring at ⅝ inches in width, these slender spindles keep your railing open and your vista free. Face-Mount balusters present a wealth of options to help fill out your space and style to the fullest. 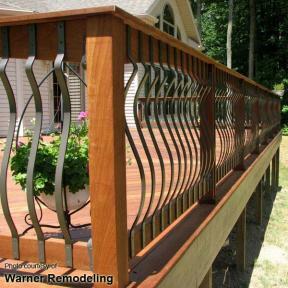 With a 1 inch width and models such as the Belly, the Bow, and the Baroque; sprucing up your railing has never been easier. Baluster Accessories including collars, centerpieces, baskets, even solar lights, allow for you to create patterns and designs as whimsical as you are. Install as few or as many as you like for a unique accent that’s all your own. Face-mount balusters are the widest of all non-glass balusters and will give your outdoor space a distinct touch of solitude. Keep your look low-key or ornate with several modes and styles of face-mount balusters available. Baluster Accessories are a fantastic method to choose when deciding to keep your private space a bit more hidden. Collars and baskets can add an intricate pattern to your baluster outlay, while larger centerpieces are able to obstruct the view from outside while enhancing your deck’s overall aesthetic. Pro-Tip: Typically spacing between balusters ranges from 3-½ to 3-¾ inches depending upon the baluster width being used. A pro-tip, however, is simply spacing your balusters closer together throughout your railing but remaining symmetrical. This will allow less openness in your sections, and therefore, a more concealed view in. 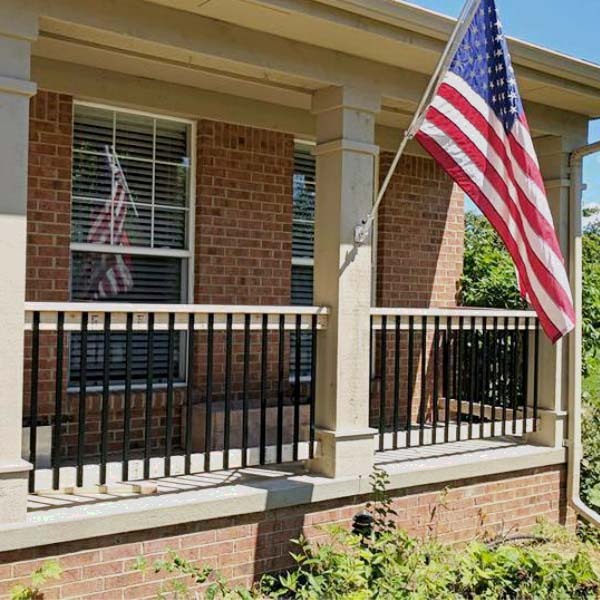 Aluminum Insert Panel by Evolve Railing grants the appearance of individual square aluminum balusters but arrive in a prefabricated panel that fits and attaches to your existing 2x4 rails with included installation screws. No extra pieces, no tedious measuring, and drilling; just a speedy install with a classic look. Face-mount balusters are always recommended for brisk setup due to the absence of any extra connectors and screws. Simply measure out and mark your baluster placements on your top and bottom rails. 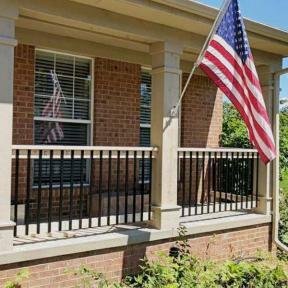 Aluminum or steel balusters, whether installing between rails or face-mounting, are long-lasting and easy to keep. 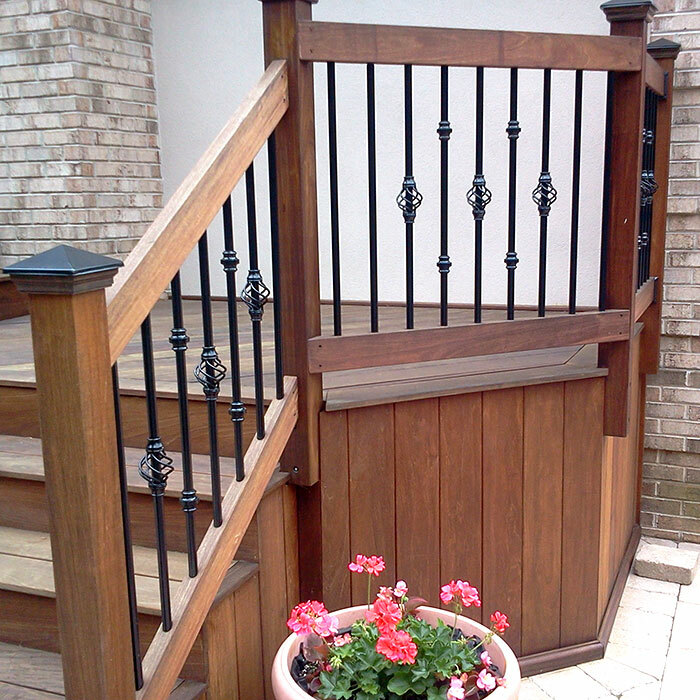 All of the metal balusters we offer are powder-coated and structured to last; the only upkeep? A yearly wipe-down with dish soap and water. Inexpensive, non-fading, and scratch-resistant metal balusters can complete your railing and give you peace of mind. Glass balusters much like their metal counterparts are specifically designed to endure. 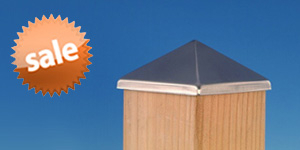 No yearly coating or re-installing, simply clean with glass cleaner when needed. Glass balusters also allow you to reach through the spaces and clean both sides of your railing easily, whereas glass panels can be more difficult to get to. Fortress Vintage Series Round Standard Balusters and Basket Balusters in Antique Bronze.